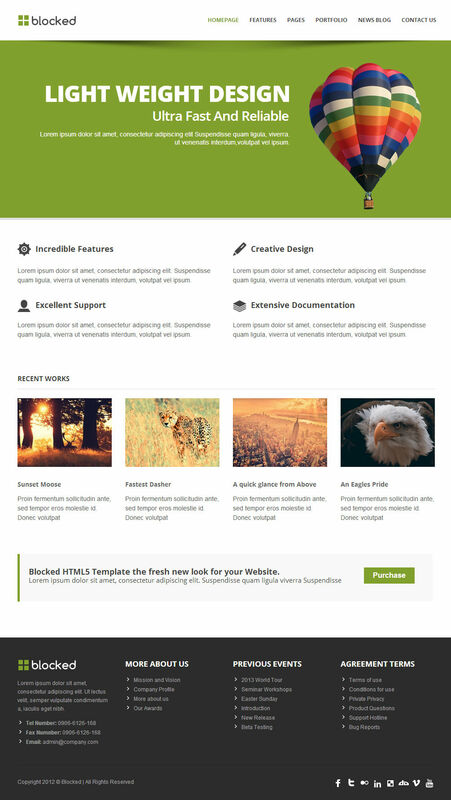 A Clean and Fresh HTML template, suitable for company or portfolio website, Blocked HTML template is easy to use and highly customizable. 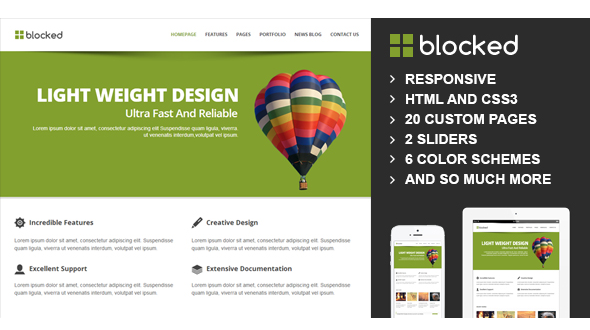 it is responsive template which has 20 Custom pages, 2 types of slider, 6 Color schemes, and so much more. When will the Wordpress version become available? I\'m currently working very hard to release the WP version as soon as i can, but you can all expect it next week monday.